Ram will soon reveal the new-generation of its full-size, light-duty 1500 model and the premiere will take place at the 2018 Detroit Auto Show. A long-awaited redesign will bring improvements on all fronts for the Ram 1500 but for the buyers which need more grunt and towing capability the focus is turned toward Heavy-Duty series of Ram’s trucks. When we are speaking about the Ram 2500 model, it received some equipment and trim upgrades for the 2018 model year. The model is now available in the range-topper Limited Tungsten trim and with standard rearview camera combined with the updated infotainment system. The 2019 Ram 2500 is the upcoming version of this truck but it won’t bring substantial changes. Ram was, however, caught while testing the prototype of the new-generation HD truck but the new version of heavy-duty haulers is expected sometime in 2019 as the 2020 models. The caught prototype seems to be in the early stage of development as it is using some of the current parts. The 2019 Ram 2500 will return to its familiar, aging styling. Notable changes will be seen when the new generation arrives sometime in 2019. The 2500 HD model looks like the bigger brother of the 1500 light-duty version and has more muscular bodywork, bigger grille and headlights. 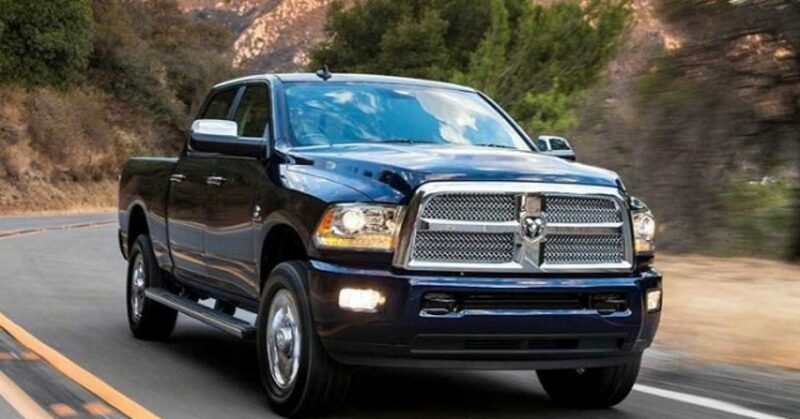 Ram will again offer this model in three cab styles and with two-bed lengths. The trim options will count to eight. Each trim will have unique exterior accents and different grille version will shift through the trims. The Power Wagon will have the off-road exterior theme with unique grille while higher-price trims will add more chrome. The interior of the model will also continue in the same form. The cabin has very similar design as the light-duty version and controls that are easy to use and understand. The Uconnect infotainment system is also among the class leaders and updated version came with the 2018 version. The Ram 2500 trucks will offer diverse material options. They will range from the hard-plastic surfaces to soft-touch treatment combined with leather and wood surfaces. The model will offer standard rearview camera, an optional 8.4-inch touchscreen display, heated seats, leather upholstery, premium sound system and much more. The upcoming version will likely continue to lack some safety systems that rivals already have. However, that will surely be addressed when the new generation arrives. The power for the 2019 Ram 2500 will again come from the familiar engine options. The base engine will remain a 5.7-liter V-8 which could, however, be dropped for the new-gen version. This engine produces 383 hp and torque of 400 pound-feet. A 6.4-liter V-8 will be more powerful but thirstier option combined with the same six-speed automatic transmission. This engine can deliver 410 hp and 429 lb-ft of torque. If one needs higher towing and -payload limits than it will be worth paying more for the 6.7-liter Cummins inline-6 turbodiesel. This engine paired with the six-speed manual gearbox will produce 350 hp and torque of 660 lb-ft. When combined with the upgraded six-speed automatic, this engine will provide 370 hp and torque of 800 lb-ft. The Cummins diesel can produce 930 lb-ft of torque in the Ram 3500. The 2019 Ram 2500 will arrive in late 2018. The price range will again start at around $33, 000 and climb in high $50k in top-spec versions.